1.4 We will always comply with the General Data Protection Regulation (GDPR) when dealing with your personal data. Further details on the GDPR can be found at the website for the Information Commissioner. For the purposes of the GDPR, we will be the “controller” of all personal data we hold about you. 2.1 We are Trimpley Sailing Club. You can email us at: info@trimpleysailingclub.co.uk. Other contact details are on our website. Member’s name, address, telephone numbers, e-mail addresses. Managing the Member’s membership of the Club, keeping in touch with the Member (including by newsletter) and managing the duty roster. Performing the Club’s contract with the Member and our legitimate interests in operating the Club. The names and ages of the Member’s dependants Managing the Member’s and their dependants membership of the Club. Performing the Club’s contract with the Member. Date of birth / age related information Managing membership categories which are age related. Performing the Club’s contract with the Member. Gender of the Member and their dependants For the club to provide adequate facilities for members and for the reporting of diversity data to the RYA. Our legitimate interests in making sure that we can provide sufficient and suitable facilities (including changing rooms and toilets) for each gender and the legitimate interests of the RYA to maintain diversity data as required by Sports Councils. The Member’s name, boat name, number and sail number Managing race entries and race results, including the publishing of race results at the club, online, with other clubs, class associations, the RYA and providing race results to local and national media, and for allocating moorings and compound spaces. Our legitimate interests in holding races for the benefit of members of the Club, promoting the Club and operating the Club in the members best interests. Photos and videos of Members and their boats where Member is identified. Putting on the Club’s website, social media pages, newsletter and using in press releases. Consent. We will seek the Member’s consent. The Member may withdraw their consent at any time by contacting us by e-mail or letter to tell us that they no longer wish their image to be used. Bank account details of the member or other person making payment to the Club Managing the Member’s and their dependants’ membership of the Club, the provision of services and events. Performing the Club’s contract with the Member. 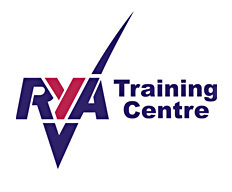 The Member’s name and e-mail address, whilst a current member and for up to two years after ceasing to be a member of the Club Passing to the RYA for the RYA to conduct surveys of Members and former members of the Club. See paragraph 5.3 below. For the purposes of our legitimate interests in operating the Club and / or the legitimate interests of the RYA in its capacity as the national body for all forms of boating. Instructor’s name, address, email addresses, phone numbers and relevant qualifications and/or experience. Managing instruction at the Club. Our legitimate interests in ensuring that we can contact those offering instruction and provide details of instructors to members. 5.2 We may pass your personal data to third parties who are service providers, agents and subcontractors to us for the purposes of completing tasks and providing services to you on our behalf (e.g. to print newsletters and send you mailings). We do this for the purpose of our legitimate interests in operating the Club and for performing our contract with you. However, we disclose only the personal data that is necessary for the third party to deliver the service and we have a contract in place that requires them to keep your information secure and not to use it for their own purposes. It is possible that third parties may themselves engage others (sub-processors) to process your data. Where this is the case third parties will be required to have contractual arrangements with their sub-processor(s) that ensure your information is kept secure and not used for their own purposes. 7.1 It is important that you understand what rights you have in respect of the Personal Data and Special Category Personal Data that we hold about you. To let us know that you wish us to exercise any of your rights outlined above please contact our Membership Secretary (membership@trimpleysailingclub.co.uk). You have the right to be told how we will use your Personal Data – which is set out in this policy. The right to rectification (changing incorrect information we hold). The right not to be subject to automated decision making including profiling (making a decision solely by automated means without any human involvement). The right not to be subject to a decision based solely on automated processing (including profiling) that produces legal effects concerning you or similarly significantly affects you. Trimpley Sailing Club does not undertake automated decision making or profiling. 7.3 For further information on each of those rights, including the circumstances in which they apply, please see the Guidance from the UK Information Commissioner’s Office (ICO) on individuals’ rights under the General Data Protection Regulation.